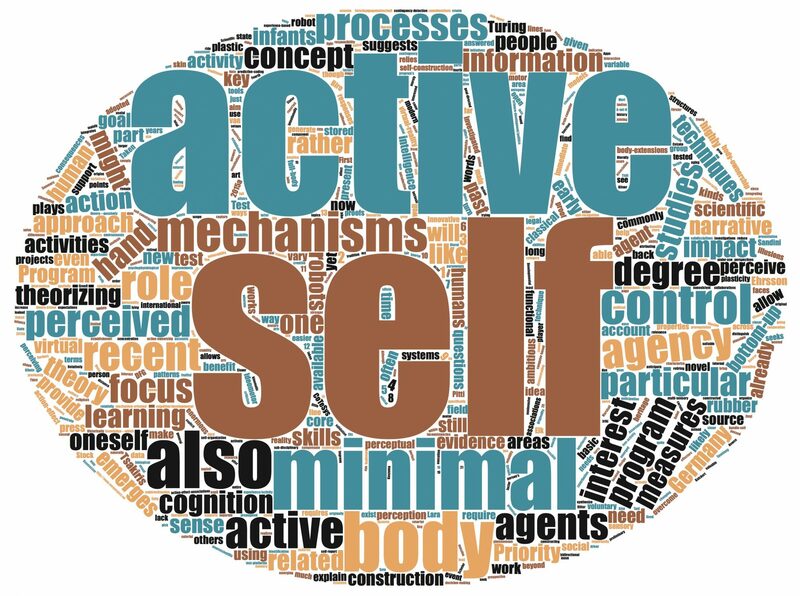 The abilities to control one’s own actions in a goal-related way and to understand the goals and intentions behind the actions of others are important aspects of the agentive self. Both aspects develop during infancy and depend on the so-far acquired own agentive experience. It has been hypothesized that cognitive representations of own actions are partially used to plan own actions and to understand the actions of others. However, when mapping observed motions onto cognitive action representations, challenging problems of correspondence, perspective, and motor inference need to be solved. Although a critical role of the mirror neuron system (MNS) is supposed, the actual encodings and computational processes involved as well as their ontogenetic development remain elusive. The planned project seeks to fill this explanatory gap by combining insights and further experimental evaluations from developmental psychology with machine learning-oriented cognitive modeling. This interdisciplinary collaboration promises benefits in a bidirectional manner: Developmental psychology will be augmented with a functional, computational model of the cognitive development of action understanding. Machine-learning and cognitive-systems research will profit from the identification of inductive biases that foster the emergence of action understanding. In eye-tracking and EEG studies with infants and driven by the modeling efforts, the project will assess in further detail which cues and cue combinations of agency (e.g., human visual appearance, self-propelledness, production of salient action-effects, own action experience) are most relevant for infants’ ability to anticipate the goals of observed actions. The computational models will combine our current biological-motion model with our theory of event-predictive cognition. The current model expects, for example, that perceptual highlighting the final goal will support anticipatory action observations. By modeling the concrete scenarios, we will also generate more concrete behavioral predictions. Overall, we expect to answer critical developmental and cognitive-science questions. For example, for which types of observed actions will eye-tracking- and EEG-derived signals for MNS activity be detectable? Do own action experiences or observations of others’ actions influence subsequent action understanding in infants of different ages? Can agency-cue augmentations facilitate the learning of computational models of action understanding? Thus, the project will contribute to the thematic focus of the SPP 2134 by interweaving predictions generated by (neuro-)cognitive modeling with insights from developmental psychology to foster understanding on how infants (i) plan and control own goal-related actions as well as (ii) anticipate action goals and infer the underlying intentions of others. Overall, the project will shed further light on the development of the agentive self, the MNS, and the resulting social competencies.